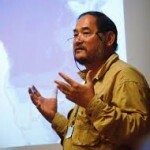 For the past decades John D. Liu has been travelling around the Earth to share the amazing potential of ecosystem restoration with governments, international agencies, scientific fora, the academic community and a questioning general public. His ability and dedication to communicate compelling evidence-based positive experiences has catalysed and accelerated the conscious shift to sustainable practices and actual restoration of damaged ecosystems. His listeners are seeking the full picture. In the case of Rwanda, they were probing what they thought to be a discrete problem, only to find that this problem is interconnected with the whole, with their ecosystem and required a holistic approach. Rwanda made that shift through implementing its wide reaching integrated policy. Would you like John to present at your event? 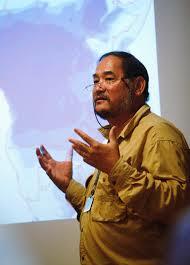 Summer of Soil’s Living Soil Forum – July 2013 in Sweden. John D. Liu will be participating in this event. “the time has come to work together like never before to save our soils”. Summer of Soil is a 5-week, multi-disciplinary accelerator program designed to awaken and inspire a collaborative movement to rebuild and maintain living soils. The program will include a series of hands-on soil-related courses, an exhibition of regenerative growing practices and the 5-day Living Soil Forum for bringing conversation to action. John spoke at The American Chamber of Commerce in the People’s Republic of China on 15 July 2013. AmCham hosted a presentation by John, followed by a week long film programme screening EEMP films for their members.